About the Book: (From Book) High fashion with a touch of sci-fi. In Runaway, the dramatic conclusion to the bestselling and acclaimed Airhead novels by Meg Cabot, Emerson Watts is on the run: from school, from work, from her family, from her friends, from herself. With everyone she loves furious with her for something she can’t explain, and nothing but the live Stark Angel fashion show on New Year’s Eve to look forward to, Em’s reached the end of the rope…what’s the point of even going on? But when she discovers the truth about Nikki’s secret, she knows there’s only one person she can turn to. Will Christopher be able to put aside his personal feelings and help her expose her employer to the world? Is it even fair to get Christopher involved—since if he agrees, there’s every chance that Stark Enterprises will try to have them both killed—this time, permanently? 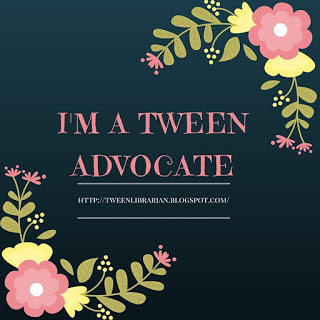 GreenBeanTeenQueen Says: I love Meg Cabot. I think she excels in any genre she writes, she always has a mix humor and a pop culture which I love, and she writes great romances with crush-worthy characters. When I first heard the premise for the Airhead books, I wasn't sure how it was going to work, but if anyone can add a dash of science fiction to chick lit and make it work, it's Meg Cabot! Where Airhead is more about Em adjusting to her new life and body, Being Nikki and Runaway have more mystery to them-first with Nikki's missing mom and then with the secret about Stark and his project. I thought the series got stronger as it went on. Em was a character I could cheer for from the beginning-she's a science fiction fan and gamer-I love "nerdy girl" main characters. And I really felt she grew in each book. As she adjusted to her new life, she became stronger. I don't think Em in book one has the guts she has in books three. My favorite character is still Lulu. I don't know what it is about her, but she's so sweet and funny and lovable-the opposite of the stereotypical rich girl. I want Lulu as my best friend-she's one of those characters I would love to hang out with. Of course it wouldn't be a good chick-lit without romance, and the romance in Runaway is Meg Cabot perfection-fun, frothy with some swoon worthy moments and great kissing. If you're looking for a fun chick-lit series with a twist, I would give the Airhead series a try. It's a short series, which is always a good thing in this age of sequels and never-ending series, and it's a fun escape. Take this along as a summer beach read. Want to read the series? I've got your chance to win copies! And of course, the series is all about fashion, so you've got to dress in style if you're going to be seen with Nikki Howard. One lucky winner will receive a $50 American Eagle gift card AND an Airhead Prize Pack consisting of Airhead, Being Nikki and Runaway. Fill out google doc to enter-good luck! I always wanted to read these books. I can't wait to read Runaway. The last one was so good. I LOVE Meg Cabot. I seriously cannot wait for this book to be out! Omg! I can't wait to read 2 and 3. My library's slow getting books. Book 2 is overdue. I would love to win these!! Thanks!! I just finished Airhead (checked it out of the library) and I want the next book! What happens?